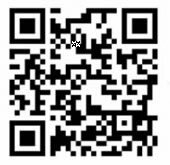 We provide a wide range of products and services in regards to QR Codes. QR Codes / NFC marketing mainly bridges the gap between offline and online advertising. Scanned by users with smart phones who need immediate access to information. Our main product is a web based system that allows you to create and maintain QR Code based advertising online content, campaigns, competitions, registration forms, custom content in various formats for printing signs and any other merchandising. Based on your business requirements, we can also develop custom features into standard system. Export page content and QR code to PDF for printing and advertising. We also work closely with advertising and printing businesses who can put the system generated QR Codes on signs, car sticker signs, large boards, tshirts, and any other products that you may need. We can custom build additional features into the system. Pricing mainly depends on the features that you are after.